A must have item that combines 2 benefits in 1. Step 1: High Coverage Corrector. Creamy texture enriched with vitamin CG. Gives optimal coverage to hide dark spots. dark circles and skin imperfection. Step 2: Flawless Perfecting Foundation. 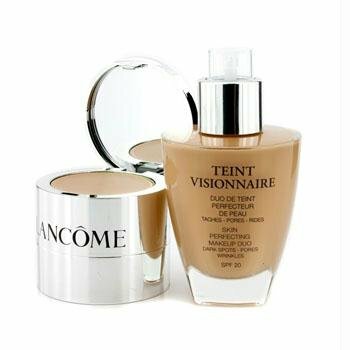 Effectively evens out skin tone for a perfect complexion. Visibly reduces appearance of pores and wrinkles. Day after day. skin appears refined. smooth and younger-looking.